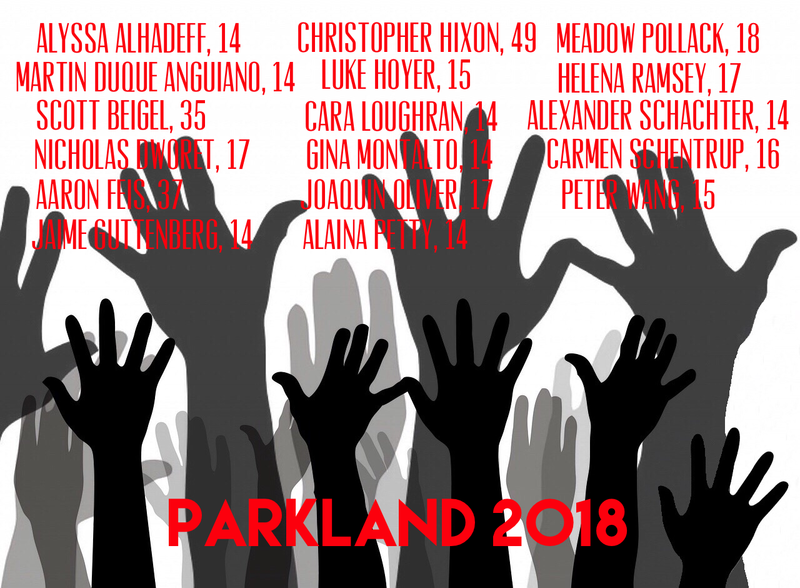 Through the National Walk Out Day and the nationwide March For Our Lives events on March 24th, youth around the country are urging everyone to end gun violence. We applaud the youth for their courage, passion, and vision – this is exactly what the country needs right now! What is #March For Our Lives? Scheduled for March 24, March For Our Lives calls for an end to school shootings. The main march will take place along the National Mall in Washington, D.C. and there are hundreds of regional Sibling Marches taking place around the country. View the full list here. If there is no march planned for your area, consider hosting one! Youth are the future, and they are speaking up. We urge adults to heed the message. We must end gun violence! Vision Quilt panels were designed to be worn in marches and vigils as well as hung in community exhibitions to create dialogue that leads to change. Please urge people to make panels and get involved in Vision Quilt. Vision Quilt panel honoring students and faculty of Stoneman Douglas High School, created by Nancy Bardos. Vision Quilt panels will be worn by marchers in Oakland, San Francisco, Chicago, Massachusetts, Oregon and beyond. 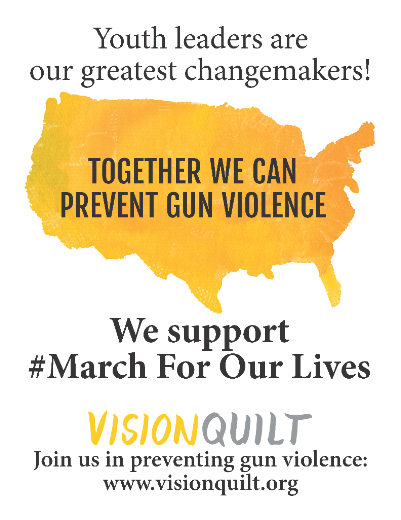 If you wish to carry this Vision Quilt sign with you as you march, click here to download the file. If you have trouble downloading, email us at visionquilt@gmail.org and we will send you the PDF.